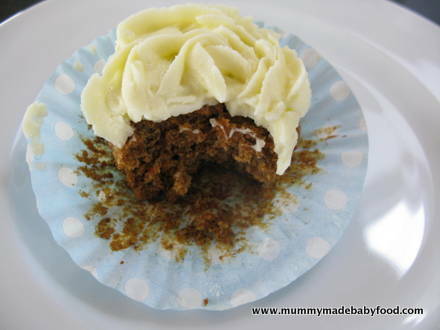 This home made cake recipe for carrot cupcakes, which enjoyed great popularity in medieval times, is sure to please your little one, as well as impress your friends. Long before Marco Polo brought sugar to Europe from the east, grated carrots were commonly used to sweeten desserts, given their high sugar content. It is also common to add dried fruit and nuts, such as raisins and walnuts, to desserts sweetened with carrots. Today, you can bake anything from carrot cakes to loaves and everything in between, including cupcakes. Whilst plain carrot cake is delicious to eat on its own, it is often accompanied by a cream cheese icing, which offsets the sweetness of the cake nicely. This week was J's 3rd birthday, and I used the recipe below to bake cupcakes for his class - they were a hit! 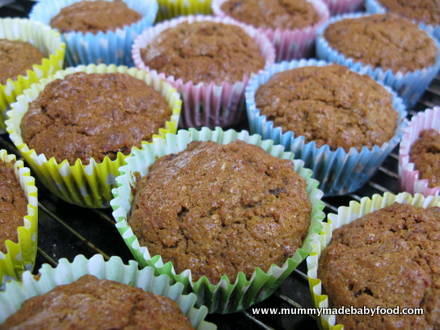 Carrot cupcakes are a great home made cake recipe for children, as they contain natural sweetness, as well as all the vitamin and nutrient goodness of the carrot vegetable; and the smaller size of the cupcake is just right for smaller tummies. I chose to make a cream cheese icing for my cupcakes, to add a bit of extra specialness for the birthday celebration. But this is entirely optional, and you can feel free to ditch the icing all together and serve these as carrot muffins. 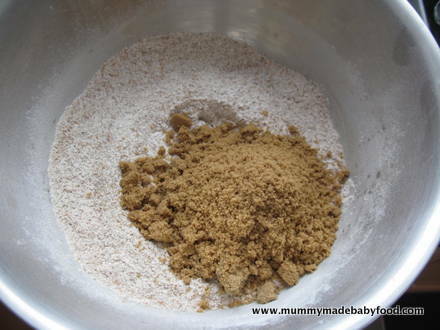 For the recipe below, I have used wholegrain flour and just a bit of light muscovado sugar for added sweetness. 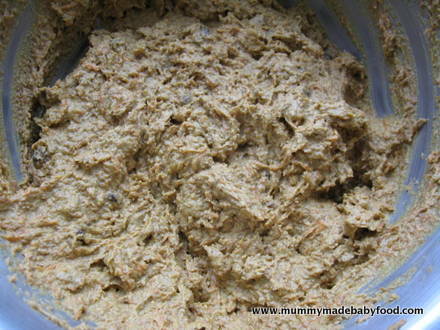 You can, of course, use whatever type of flour you like (I have even used rye flour before, which works quite nicely). For the oil, I used coconut oil, which is only liquid in form at above 24C - this lent a nice moistness to the cupcakes without them becoming oily. You can also use traditional vegetable oil, which will add extra moistness but also a bit of oiliness. This recipe yields approximately 12 cupcakes. Line a 12-hole cupcake tin with paper liners. 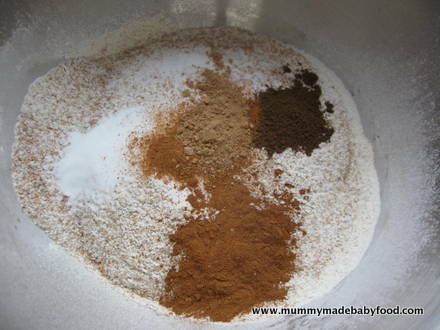 Sift the flour into a large bowl, and whisk together with the baking soda, salt, and ground spices. Add the sugar, and mix well, breaking up as many of the large lumps as possible. Fold in the raisins, if using. Lightly beat the eggs in another large bowl. Whisk in the oil and vanilla extract, until slightly thickened. 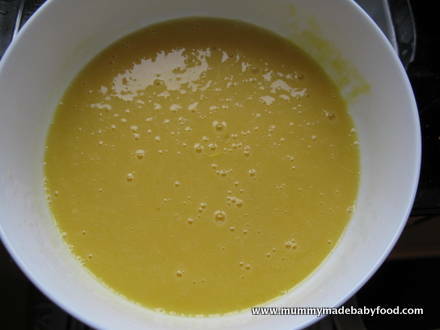 If using coconut oil, warm it just enough for it to reach liquid state, but not so much that it starts to cook the egg! 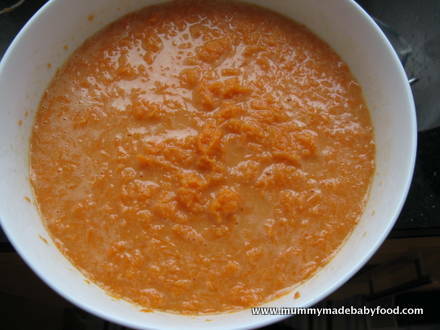 Fold the carrot mixture into the flour mixture until fully incorporated. Evenly fill the cupcake tray with the cake batter until each well is about 1/2 to 3/4 full. Bake in the preheated oven for 20-22 minutes, or until a toothpick inserted into the centre comes out clean. Remove from the oven, and place on a wire rack to cool. If serving muffins, then these are ready to eat, as soon as they have cooled sufficiently. If making cupcakes, spread or pipe some cream cheese icing on top of each cupcake once it has completely cooled. Admire, and enjoy your gorgeous home made cake!